Branding is a hot topic in business and in media training and presentation training. The brand has grown to extend far beyond its origins, when a brand was the insignia used primarily to mark cattle and products that craftspeople made. True branding extends far beyond logos and the colors and fonts and design elements you use on your website, social media pages and products, although these are very important. People respond to a good brand in a visceral, emotional way. When you receive media training, your trainer should help your personal brand to come through. A focus on your brand in media interviews is a part of any good media training session. The brand of your company or organization, and/or you as a person, should be clear and come across every time you give an interview or make a presentation. Because evolved people don’t live by pictures alone, the “language of your brand” is just as important as the visual elements, and sometimes even more so. Yet, most people don’t give nearly as much thought to the language of their brand as they do the visual elements. 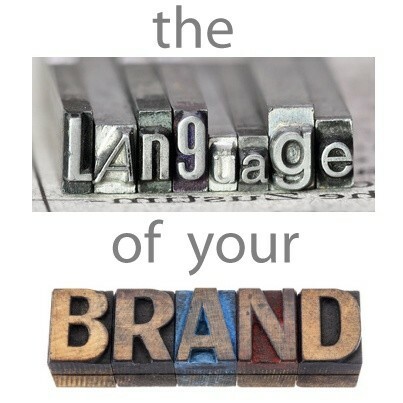 What is the language of your brand in media interviews? Quite often, people will experience your brand solely through words. When people talk about you, your company, or your services or products, they will use words. A print interview that you give will rely solely on the words that you speak. The words people choose to describe you will come partly from the experience they have had with you and partly from the very words you have said or written. In your media training sessions and message development sessions, focusing on the language of your brand in interviews will give you a great sense of clarity before your interviews. Any time you speak about yourself or your company, even in something as seemingly mundane as a quick phone call or a one-on-one meeting, you’re conveying your brand. Of course, when you speak from a stage or through social media or traditional media (e.g., TV, radio or print interviews), you’re transmitting your brand to masses of people simultaneously, but you can still do it in a way that feels personal. The language of your brand goes far beyond having a good elevator pitch or introductory phrase that you and your team use when you meet people. It’s also much more than a list of descriptions that you or your staff read off of a page when explaining what you do. What are the words, phrases and explanations that you and your entire team use to convey your brand in media interviews and in every interaction, from the way your phone is answered and problems are handled, to the way you interact with people at functions when you think no one is watching, to the way you interact with your staff or your team members? What are the words or phrases you will use that will stick in people’s heads and reach their hearts? Your brand in media interviews is conveyed in everything you do before, during and after the interview.